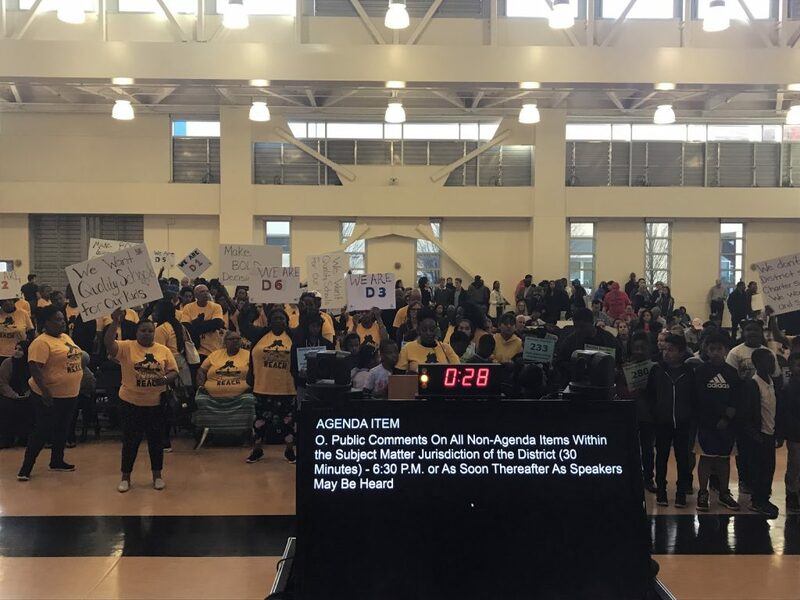 Oakland, CA — The Oakland REACH, a coalition of parents and grandparents fighting for quality education for all kids, spoke at last night’s school board meeting highlighting issues of choice and access in their communities. The Oakland REACH is made up of parents who have felt powerless for far too long, and formed this group to make their voices heard and have a seat at the table. 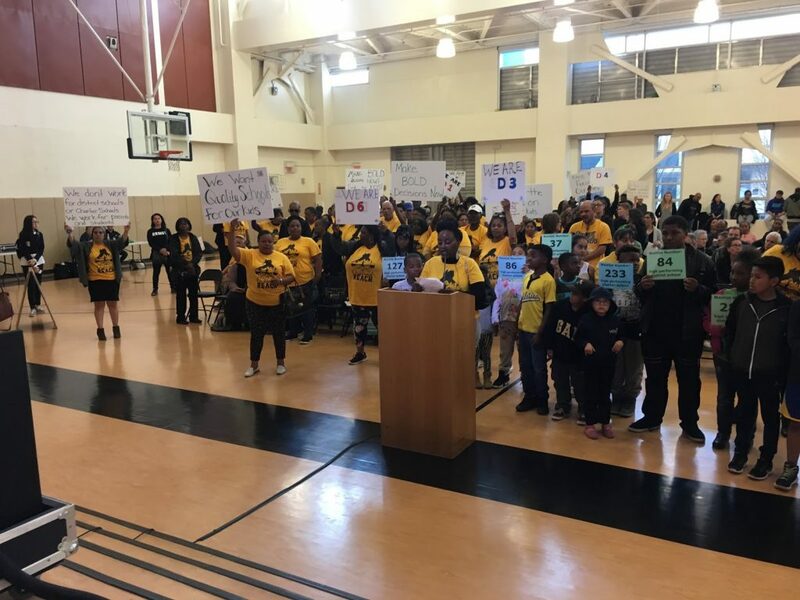 Almost 100 parents and their children attended last night’s Oakland Unified School District’s (OUSD) Board meeting, wearing numbers representing where they landed on waitlists for quality schools during the open enrollment process — some numbers going as high as 320 on a list for a quality district or charter school. The members of The Oakland REACH pledged to keep fighting so that everyone can have access to a quality education — and made it clear they would hold board members accountable do their part in this fight as well. This issue requires urgent, bold decisions — board leaders need to take immediate action to ensure their students don’t start another school year left behind in failing schools. The Oakland REACH members have attended every school board meeting this year, regularly speaking up to point out they haven’t heard enough about what the board is going to do to focus on QUALITY. Members also devote much of their time engaging parents in under-served communities, listening to them and educating them about what’s happening in our schools. They have already had over 3,000 one-on-one conversations with Oakland public school parents. Parents also have an opportunity to build their advocacy skills through a fellowship program, which has helped engage and empower them to participate in city-wide conversations, including last night’s board meeting. We’re a group of parents empowering families to fight for a good education for their kids by helping them better navigate the system while also working to change the system. Together, we’re making the powerless parent powerful. If you are a parent who wants to get involved in The Oakland REACH, please email join@theoaklandreach.org.